Primary School Back Pack Bag / Junior Back Pack. 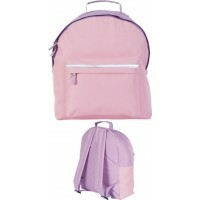 Alternative to the book bag but in backpack style with more capacity and padded straps. Tough, durable and water resistant 600d polyester. 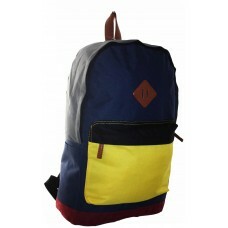 Available in two colours however both have the bright yellow pocket and look similar. This one is mainly Navy with a black cover on the pocket. The other option is mainly black with a navy cover on the top of the pocket. Capacity - volume wise two reams of paper (500 sheets per ream) - although this would be too heavy for a child to carry!